Markha valley is a hugely popular trekking destination. It is definitely not for the faint-hearted. The terrain is treacherous, but the brave will be indeed rewarded. Expect to stay in temporary tents while you're trekking and experience stay in a cold desert valley surrounded by spectacular views of Ladakh and Zanskar mountain ranges. The trek passes through Hemis National Park, you'll cross Gandala La and Kongmaru La mountain passes and you'll tread through the Markha river. 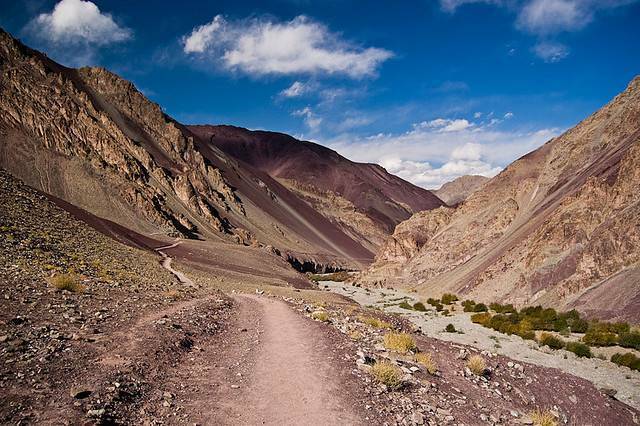 Reach Spituk (base camp which is about 7 kms away) from Leh and begin your trek.